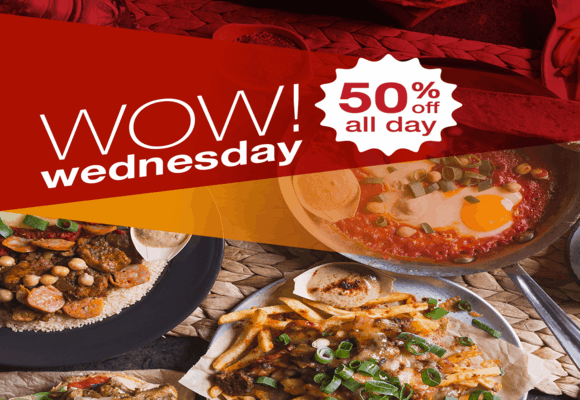 Bangkok – On 17 October 2018, eatigo, the leading restaurant reservation application, announces a very special promotion: “Wow Wednesday” with up to 50% discounts available all day. Over 23 restaurants will participate, both in Bangkok and Chiangmai including Hamakatsu, Trader Vic's Anantara Riverside Resort, and Changwon Express. Diners can eat their fill at their favorite restaurants or find nearby restaurants to book easily whenever they get hungry. This special promotion is only available on Wednesday, 17 October.